The Association for Media and Event Technology (VPLT) has been a regular cooperation partner for Prolight + Sound for several years. Above all, the association successfully supports the trade fair in the conception and implementation of the extensive conference and lecture program and, for examples, provides interesting conference ideas. 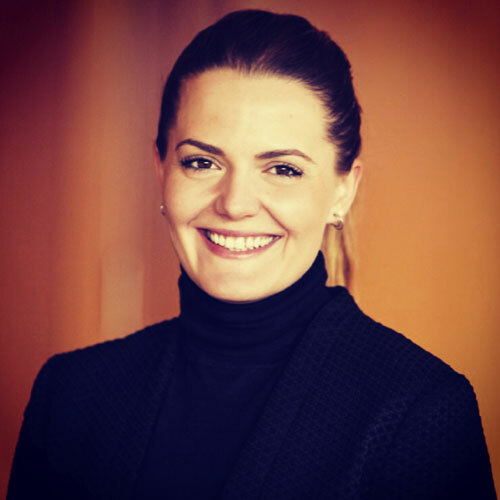 In this interview, Managing Director Linda Residovic reveals why the trade fair is so important for the VPLT and what visitors can look forward to in 2019. 1. The VPLT has been a permanent cooperation partner of Messe Frankfurt for Prolight + Sound. What is particularly important to you in this cooperation? In addition to the fair’s positive image, continuous support for training and job placement plays a major role. Innovation and information at the highest level are offered here. We use the fair to inform, but of course also to gather information. The trade fair is the most important networking platform for us. Interaction with our members, potential members, as well as the meetings and numerous associations from all over the world, reaffirms this meaningful cooperation. The partnership-based cooperation with the Prolight + Sound team during the entire history of this most important trade fair for live entertainment technology sector in Europe and beyond shows how successful a platform for products and people can be and how it can be further developed. 2. How has the trade fair developed in recent years? Prolight + Sound has developed well – despite some changes in the distribution of the exhibition space. The industry and the trade fair have become more professional. The focus is no longer just on the latest products. The fair has become a meeting place for the industry. The networking, the discussion with each other are immensely important. The markets change constantly. There are all of the new challenges, such as platform economies and other new distribution channels, but also the rapid development of technologies and the growing live performance industry in times of a shortage of skilled workers are playing an increasingly important role at the leading trade fair in Frankfurt. We regard the measures to integrate more people and the related interaction into the considerations of a fair trade setup to be the right development in order to offer visitors not only the presentation of the latest innovations, but also added value. 3. What focal points would you like to set in your program for Prolight + Sound 2019? In addition to our well-established topics concerning event technology and its specialists, we would also like to invite people to engage with topics such as the shortage of specialists, recruiting, or the challenge of planning succession in companies in the form of roundtables / and marking nuances. We are currently still in the planning stage and in discussions with our members. It is assured that we will provide a mix of the previous “basic” and “advanced” program in one theme, and will also set the program of the International Event Safety Conference (I-ESC) with topics related to safety. 4. What direction do you think the event industry will take in the future? This is an exciting question, which I’d like to answer more in terms of challenges. I believe that megatrends such as overreaching globalization, health, education, etc. will continue to play an increasing role. Individualism, feminization, as well as aging will represent an increasing challenge for companies. In regards to education and training, actual skills, competences, and abilities will play an increasingly important role, but also present opportunities such as low-threshold access to our labor market; the bottom line is a shortage of specialized workers. Naturally, digitalization will also significantly change our industry, presenting new challenges as well as simplified and low-waste opportunities. 5. A job exchange was launched two years ago on the occassion of Prolight + Sound. How has it developed? What do you view as future topics where the fair show open up? The JOBmarket has developed quite well and is still far from the end of its possible growth. The advertisements as well as the employer profiles and individual advertisements have met our expectations. New tools such as profile matching of job offers and people who are looking is a current project that our development team is working on. In addition, intensive discussions are taking place to further integrate offers specifically aimed at the industry in a meaningful way, as was implemented in the 100PRO training initiative from the industry this year, for example.